The Diggbar, which launched recently by Digg is one of the hot debates in the blogosphere. Some feel it is evil and think that it increases digg experience for digg users. In publisher point of view it is evil in its current form and sites like engadget are blocking it. One of the main concerns is that Diggbar short URLs are 200 http codes, that means the link credit goes to digg instead of publisher. Other short URLs redirect to original site using 301 redirect which passes Google Juice if any to the original source. Danny Sullivan has a good post on this whole diggbar issue which is worth reading. 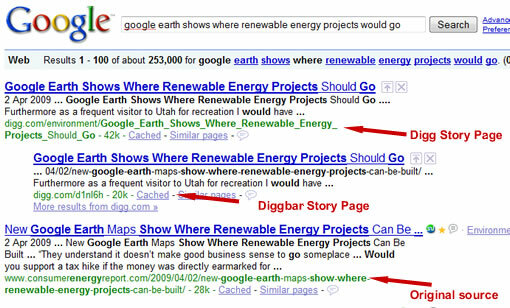 Digg explained in a blogpost that Diggbar is not evil and it will pass Google Juice and since Digg uses rel=”canonical” attribute it will tell the search engines where the original URL is located, but it won’t help because “canonical” attribute won’t work for cross domains ot is meant for same domain URLs. Greg has a good post dissecting Digg’s claims about diggbar. 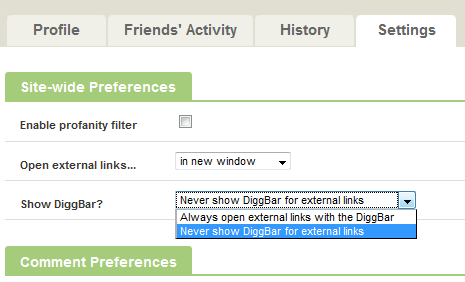 If you are a Digg user, you can turn the diggbar off when opening links by modifying the “viewing preferences” in Digg profile page. Thanks. Worked like a charm to blog bars.